Applications: These thin diamond blades are for cutting porcelain & glass tiles, as well as ceramic tiles, marble and granite slabs. For use on wet tile cutting saws and angle grinders. This is usually the best selection for cutting glass tiles (Not suitable for plate glass). Ultra thin section for concentrated neat slicing action. Laser cut slits in rim allow for dry cutting with angle grinders (excl 355mm). Sizes for most wet cutting tile blades and angle grinders. Discounted prices for popular sizes in quantity. Note: If the size you require is not listed, it may be available in the Tile Slysa Turbo Premium range. 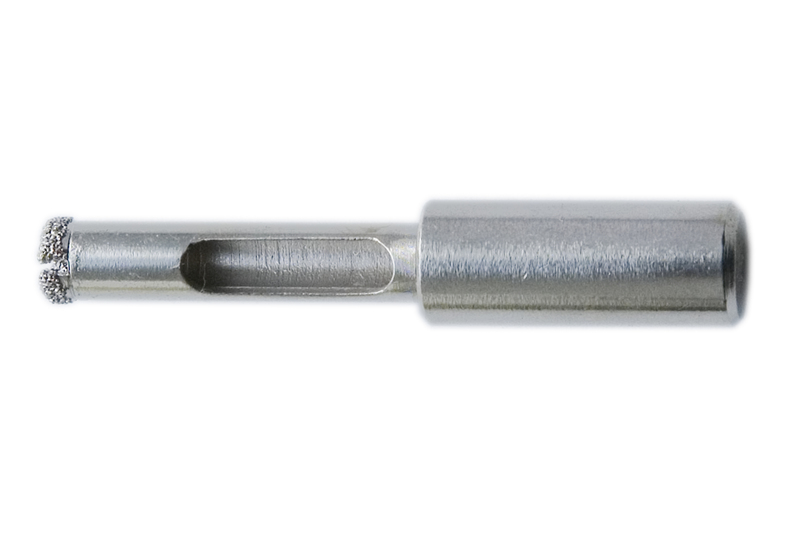 We stock a wide range of diamond drill bits for porcelain in both wet use and dry use designs.